Once a year, Brownsville’s “The Big Give Brownsville” is held citywide. The Big Give Brownsville is a 24-hour day of giving benefitting charities across the city and fostering charitable giving by encouraging Brownsville residents to give where they live. 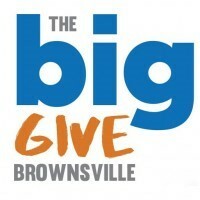 Unlike other fundraising initiatives, Brownsville’s Big Give promotes personal giving to all of the participating nonprofits equally through its unique and highly visible live and online platforms. In addition to encouraging continued support to Brownsville’s favorite causes and campaigns, the Big Give Brownsville introduces donors to new nonprofits and causes attracting first-time donations. All participating nonprofits are registered 501 (c) (3) organizations eligible to participate and receive donations from the 24 hours event. Brownsville Independent School District high schools participate through a partnership with The Brownsville Community Foundation and The Brownsville Foundation for Health and Education an initiative called Youth in Philanthropy (YIP). Our first ever Big Give Brownsville was held on May 6, 2017, donors and participating nonprofits and public high schools were encouraged to attend the giving day celebrations. A kickoff rally and celebration for the giving day took place at the event headquarters, the Brownsville Museum of Fine Art. Here, the Big Give Brownsville’s leadership and elected school officials spoke on the philanthropic impact and importance of Brownsville’s Big Give. Later in the day, donors and the community-at-large were invited to stop by the official headquarters and there was a conclusion celebration. In addition to providing computer stations to enable online giving, there will be a phone bank and the participating nonprofits will be featured along with appearances by local community leaders, local entertainers and food and drink specials. The Brownsville Big Give believes in the power of each person to make a positive difference in our community. The Big Give celebrated that positive impact and promoted charitable giving by providing a live and an online platform through which to support your favorite nonprofits or search for new causes. For updates on Brownsville’s Big Give, visit www.TheBigGiveBrownsville.org, or follow us on Facebook at www.facebook.com/TheBigGiveBrownsville.